*The Alvin Ailey® American Dance Theater is coming to the Music Center’s Dorothy Chandler Pavilion, April 8-17, to celebrate five decades of “Revelations,” considered an American classic and Ailey’s most popular and revered dance. “Revelations” will be presented each night alongside three other programs during an unprecedented 10 performances. Alvin Ailey® American Dance Theater is led by Judith Jamison (in her final season as Artistic Director), who is joined by Artistic director Designate Robert Battle and Associate Artistic Director Masazumi Chaya. A short film will be shown prior to “Revelations” at every performance, in an effort to educate audiences about the inspiration, meaning and significance of this modern dance masterpiece that is a tribute to Alvin Ailey’s impact on the world and dance and the African American heritage. Ailey choreographed “Revelations” in 1960. I spoke to Renae Williams Niles, director of dance presentations for the Music Center, about the Alvin Ailey American Dance Theater’s upcoming performances. Darlene Donloe: This is going to be Judith Jamison’s last year as artistic director for the dance company, is that one of the reasons the Music Center brought the group back this year? 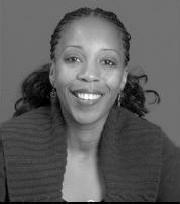 Renae Williams Niles: We have an ongoing relationship with the Alvin Ailey Dance Company. I try to make sure I bring them consistently because they are one of America’s treasures. It’s critical that Los Angeles audiences get to see them on a regular basis. It was part of our regular plan. We knew early on that Judith Jamison would be an element and aspect of this whole performance. One of the three programs will highlight Ms. Jamison’s contributions. DD: Will there be a tribute for her? RWN: She will be here. We have a lot of activities planned throughout the engagement. It’s my hope that we can give her an honor and celebration. DD: Everyone loves Alvin Ailey. Tell me your personal thoughts about the dance company. RWN: For me as an ex dancer and now in this current role where I’m able to work with the company on a regular basis, and as an African American growing up, it’s what you said, those two words – everybody and love. They are definitely reflective of the African American culture and experience. They are an American treasure. They tour almost more than any other company. They tour substantially and internationally. They are truly loved by everyone. I have so many personal memories. It’s hard for me to say. This will be the third time I’ve had the Alvin Ailey dance Company at the Center since I’ve been in this director position. What strikes me is this impact they have. This ‘Revelation’ if you will that comes over the audience. There is an energy and a passion. The other thing I love is you’ll have one person in the audience who is there for their first Ailey experience and the other has seen them 15 times and they are sharing their experiences and are fully engulfed. DD: As an ex dancer, when you watch the Alvin Ailey dancers are you watching as a fan and an audience member or as a dancer? RWN: That’s a great question. I’m sitting there as a presenter, as a curator, which is my role. I tend to be critical and tend to look at every small detail like the stage itself, the lighting and costuming, the dancers and the movement. When I watch Ailey, I’m able to, for the most part, purely enjoy. Half the time I’m doing the choreography with them in my seat. Mind you, I’ve never danced for the Ailey company. But, that’s just how much I’ve seen the work and love what they do. DD: Revelations – it’s going to be presented at every performance. What’s the feedback? RWN: You can’t present an Ailey performance without Revelations. I lost count with the 25 performance I’ve seen. It’s quite beautiful and it’s about the human experience. People are mesmerized. Sometimes people watch ‘Revelations’ and have their own revelation. For people in Los Angeles, just a few years before he created ‘Revelations,’ Alvin Ailey was right here in Los Angeles. It’s where he discovered dance as a young teenager. ‘Revelations’ is rooted in his own life experience living in Texas. It’s critical that we in Los Angeles take ownership over Ailey as well. DD: There are three different programs highlighting the past, present and future of Alvin Ailey. There is Program A – “21st Century Ailey,” Program B – “All Ailey” and Program C – “20 Years of Jamison. Talk about them. DD: Okay, Renae, I have a bone to pick. How are we supposed to choose with performance to go to? RWN: You don’t have to. You can go to all three. That is definitely my hope. We have so many Ailey fans. You are very right, there are some people who know they’re going to have to come at least twice. Sorry I’ve made it difficult (laughter), but hopefully I’ll make it that much easier by saying you can just come see all three programs. Friday, April 8 7:30 p.m.
Saturday, April 9 2:00 p.m.
Thursday, April 14 7:30 p.m.
Saturday, April 16 7:30 p.m.
Saturday, April 9 7:30 p.m.
Sunday, April 10 2:00 p.m.
Friday, April 15 7:30 p.m.
Wednesday, April 13 7:30 p.m.
Saturday, April 16 2:00 p.m.
Sunday, April 17 2:00 p.m.
Alvin Ailey American Dance Theater, Music Center’s Dorothy Chandler Pavilion, 135 N. Grand Avenue, Los Angeles 90012; Fri., April 8 – Sun., April 17, 2011; $25-$105; musiccenter.org/events/dance.html; (213) 972-0711; Groups — 10 or more, call (213) 972-8555 or MCgroupsales@musiccenter.org.